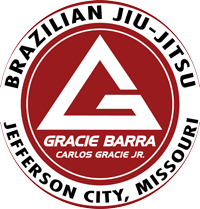 Children and teens of all skill levels and abilities will benefit from Jiu-Jitsu classes at Gracie Barra in Jefferson City, MO. Our Gracie Barra Kids Program is designed to teach children self-discipline as well as providing a unique way to express themselves. Our instructors are trained to interact and offer gentle correction for children and teens who practice the art of Jiu-Jitsu. Children over the age of three can begin their training at any of our 700 Gracie Barra Schools, experiencing the true power of brotherhood and integrity. Our GBK program is structured similarly to adult courses, with adaptations and modifications made to reach the different age ranges in the class. Jiu-Jitsu classes for children begin with the building blocks that are needed to teach the fundamentals of Jiu-Jitsu. We have developed a curriculum that is structured in a way that shows children and teens the value of routine, cooperation and self-awareness. Schedule Your Free Class Today! Practicing Jiu-Jitsu at a Gracie Barra school helps children and teens release their energy in a healthy and productive way. Our certified instructors teach children to focus their attention on one task at a time, honing their abilities and developing critical thinking skills. When children learn how to do this, they’ll see a gain in their overall fitness level. 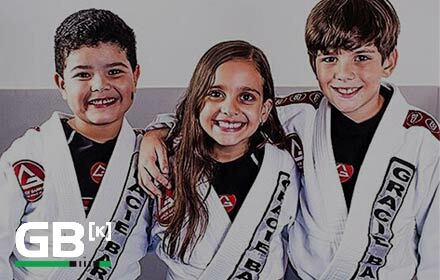 The Gracie Barra Brotherhood provides kids and teens with a sense of community. We are organized like a team, but fight together like a family. This philosophy helps our students build trust and leadership skills with every class. Our GB School helps children learn valuable life skills that can be used both in and out of the classroom. By joining our Gracie Barra Jefferson City team for Jiu-Jitsu classes, children can experience a fitness program like no other. Kids and teens alike will enjoy a boost in confidence, better focus and critical self-defense skills. Contact us today to schedule your child’s free class.